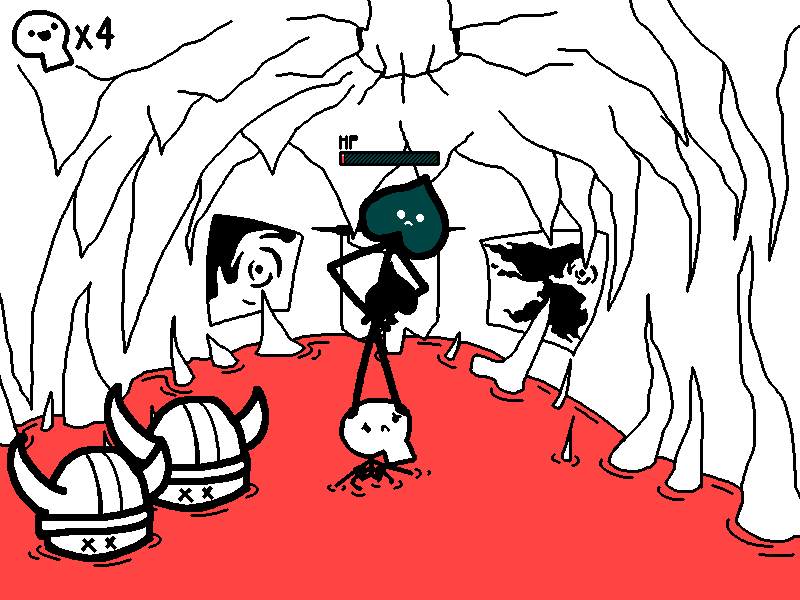 Also I'd like to point out Spades drank the lava with the dead skeleton in so he technically has two skeletons inside him right now. Can we have a skeleton count? You carefully position the new skeleton on top of the countdown box which is still intact within the magma. You climb onto the skeleton and out of the magma to save yourself from death. Drinking magma and standing in it all day has been rather unhealthy. Of course, this skeleton also quickly melts. Spade Man: Melt cuz of the lava and die.